Green Boating with Uncle Charlie. "Don’t give me any of your trendy Green Boating nonsense. Especially if it comes from someone who has a whacking great boat made of frozen plastic snot (ed. Frozen snot was an expression used by Francis Herreshoff to describe fiberglass). Or anyone who has been clomping his great carbon footprints all over the globe by flying to ‘eco conferences’. When I was growing up in post war austerity in the UK, being frugal was just a way of life. Nothing was wasted or thrown away if it could be mended or used for something, if that is recycling or green boating, then there is nothing new about it, it’s just sensible. We didn’t need any politically or financially motivated pronouncements from ‘above’ to know that keeping it small and simple gave us a lot more scope for having fun. And even now half the fun of sailing is in getting away from the so called ‘conveniences’ of home. 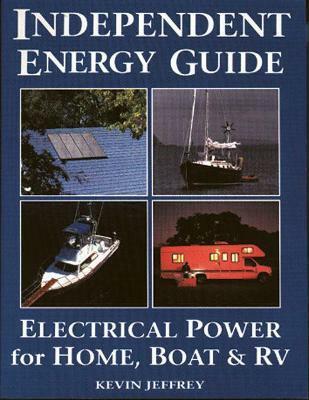 You can kit your boat out with all the home comforts but then you’ll have to spend most of the time plugged into the marina shore power to run it all, how pointlessly boring is that. Sailing can be one of the greenest activities to enjoy, as long as you aren’t spending all your time worrying about all those complex gadgets and the power needed to run them. I have no problem with those boaters who equip their boats with all kinds of gadgetry but for me green boating is more about keeping it simple. And I regard it as just a matter of common sense to use things like a self-steering wind vane, oil lamps or manual pumps for fresh water. Now don’t get me wrong I'm not a complete Luddite, I'm all for innovation where it does make my sailing more fun. For instance I wouldn’t dream of putting out to sea without my GPS, it does help take the uncertainty out of navigation. But I still prefer to use my old fashioned navigational computer, it may not work quite as well as it used to but it is still the most powerful computer around, it's the one inside my head. And unlike the electronic type it doesn’t wear out with use but gets better. And it doesn’t need batteries. Talking about batteries, now there is something where the green boating pontificators would do better to put their money instead of spending it on air fares and conferences. Develop an affordable and compact hydrogen cell and I’ll be first in line to buy one. Well I will with one caveat, that they develop it while at the same time considering how to dispose of it when it has stopped working, which it will. And I don’t need to hear the sort of hogwash the snot boat industry is still touting, such as plastic boats will last forever. Yea right, tell me that when the landfill sites are full of that everlasting plastic that has ceased to be usable boats. Already there are some landfill sites that will no longer allow the disposal of plastic boats. You can recycle old sails, make tote bags, halyard tidies or even deck chairs from them but there is little you can do with old fiberglass. Wooden boats on the other hand, can be repaired with a little effort and some truly have lasted for hundreds of years. As for the contention that the snot boat industry has allowed more folk to go boating, my response is that it may have conned a lot of folk into buying boats but that isn’t the same as actually going boating. How many plastic boats rarely leave the marina or spend most of their lives sat on a trailer in a driveway, gathering moss, (green boating)? I understand the power of advertising, being male I can just about understand the guy who is conned into believing that just buying a boat will turn him into a macho adventurer. What I find hard to comprehend is any of you girls being conned by the boat that has been designed to appeal to the ‘wee woman’, with its pretty little plastic galley. If I were a woman I’d find that is so patronizing as to be offensive. It is almost as patronizing as suggesting that snot boats will last forever. I will admit that there are some very good and quite pretty plastic boats around but to say that they will out live a wooden boat with little maintenance is totally unsubstantiated. Show me a plastic boat that is over fifty years old and still looking good. Or ask the owner whose boat has osmosis and has to put her out of the water for at least a year just to dry out before messing about with all those nasty chemicals. 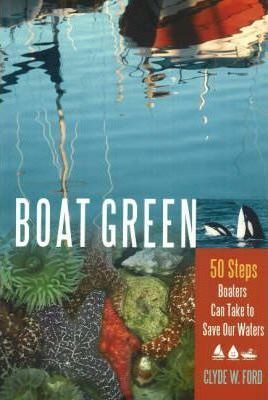 Anyone truly interested in green boating needs to reevaluate their lifestyle and consider how and why they do things. It is so easy to be mesmerized by the glitter of all those fiercely advertised gadgets and latest trends. What could be dafter that spending a fortune to use a rowing machine, in a stuffy gym stinking of other peoples sweat and then stick a noisy smelly outboard on the back of your dinghy instead of just rowing the thing. You can call it green boating or what ever buzz word you like, to me there is something elemental about sailing that favors simplicity."